Material type: BookCall no. 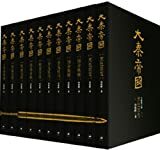 : FIC 2015 645837Publication: Shanghai : Shanghai ren min chu ban she, 2015Edition: Di 1 ban, di 8 ci yin shua, xiu ding ban.Description: iv, 397 p.Notes: Text in Chinese. ; Reprint. Originally published: 2012.ISBN: 9787208105928; 7208105928.